Luxurious apartment. Only a few steps away from the beach with the nice promenade and restaurants. You reach the city of Calpe within a five minutes walk. 2 Bedrooms, 2 Bathrooms, A/C, Wifi, Garage. 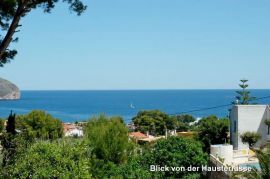 Detatched villa (120 square metres) set in extensive grounds (1000 square metres) with private swimming pool affording beautiful sea view, 3 bedrooms, 2 bathrooms, wi-fi. 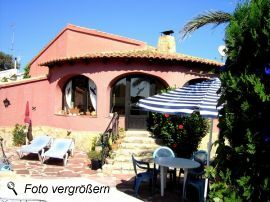 The house is situated in the part of Moraira called El Portet, on a south facing slope of a hill side. You reach the little beach in only a few minutes of leisurely walking. no Properties on your list. 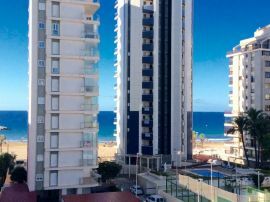 © 2019 iberohome.com - The best time to travel to the Costa Blanca? At any time!